My Something Old: The ribbon and flowers....The little flowers are from Prima and I don’t know if you all remember when the glass bottles of these little cuties were all the RAGE! I mean you wanted them in every style...LOL! Gosh, I am talking about a good 5+ years now. My Something new: The mug cutting file I designed and the beautiful paper from Quick Quotes. My Something Blue: Well I think this one is pretty easy to tell! Here is one more project I wanted to share. For this one. The something old is the background paper. The something new was the snowman pattern, the something “borrowed” was the idea to glitter the whole snowman and the touches of “something blue” are pretty easy to see. Okay how about a little blog candy to warm your heart on this chilly Saturday! Lastly, how about a free download for all you lovely crafters for coming by today! A cute little digital stamp that let’s you all know how all of us here at PCW and CWC feel about you! It is in a pre-colored and black and white format and in jpg. Be sure to grab it while you can. It is available TODAY ONLY! Click the add to cart button to download. It will not cost anything to download today only. Here is today’s line up in case you get lost! Melin – http://www.cookingwithcricut.com YOU’RE HERE! Be sure to come back tomorrow for a new project and a new line up of 10 different designers!!!! Melin, that mug is so awesome!! Melin....I LOVE it! The paper from QQ that you did your cup in. It is just beautiful!! I so need a bow maker too! ;) I also LOVE the colors of your lay out...your layouts are always so cute!!! Melin, What a delightful mug! The paper is fabulous. I love that little bow. I may have to check out a bow easy. This is such a fun hop and a agreat way to begin a new year!! Truly enjoyed the bop and got some wonderful inspiration! The cocoa mug is adorable! and I love the layout. Your designs make me wish I had a machine on which I could cut svg files. Wonderful projects and inspiration as always, Melin. Great projects, Melin! I love the bear's sweater in your layout. Thank you for the digi-stamp! Like the mug & the layout. Thanks a-latte for the freebie (could not resist). Enjoyed the 1st day hop. Thought I'd let you know that Larelyn's blog is incorrect on your list. There's a missing 'd' after the hyphen '-' but I figured it out since I'm already a follower of her blog. Looking forward to tomorrow's creations/projects. Too cute and a fab little gift! Love the tea cup and the scrapbook layout is soo cute - great job. Enjoying blog hop, and wow love the little mug u made its gorge, ready to have a great big topping of squirty cream and marshmallows mmmm. loving the mug !! great job! Cute mug! I love them but have been to chicken to try one myself! Thank you for sharing. Oh, I like your layout too...haha! Great projects. Thanks so much for the freebie! Thanks a bunch for the great freebies on this site. I just became a follower. Also love these great projects. WOW! Amazing! Love the Mug! As always, your files and projects are so darn cute. Love the mug and thanks for the free file. Thank you for this fabulous coffee cup!!!! Your projects are amazing!! Love the hot cocoa coffee cup! Thanks for the freebie too. Thanks for the freebies! Love the projects, can't wait to see what's next. Great freebie, thank you so much. Great projects. I love the new ideas!! I am still enjoying "winter" themes.. so the snowman is just adorable!! TFS. So glad I got to check out your blog hop. I love your projects. Thanks so much for the freebies. I love the cocoa cup. So cute!!!! I absolutely love your Frosty Days layout just everything about it where can we buy the files to make it? 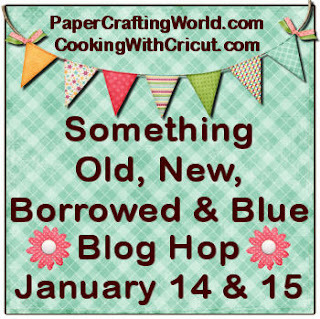 Wow thanks for hosting the blog hop great ideas to get the creative juices going again after a brief break from Christmas.